1. Side Ponytail – If you don't like what your face looks like when your hair is pulled back, try pulling it into a side ponytail. 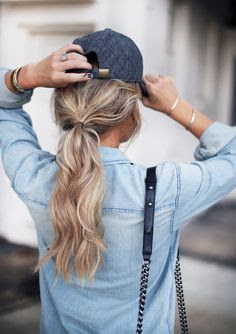 Wearing your hair in a side ponytail doesn't leave your face completely bare and it shows that you are still stylish–even under a baseball hat! We love this hairstyle under a Monogrammed Trucker Baseball Hat. 2. Braided – The good thing about a braid..it makes you look like you put some effort into fixing your hair! 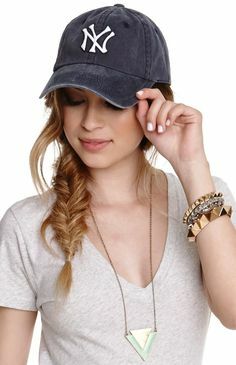 If you want a cute look, but don't have a lot of time, braid your hair and throw on a baseball hat! 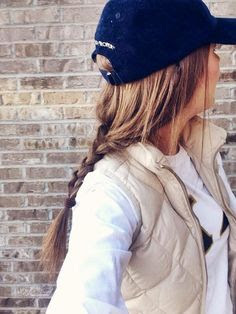 Be sure to sport your braided hairstyle with a Monogrammed Frayed Patch Baseball Hat! 3. Straight Down – Can't seem to shake your bed head in the morning? 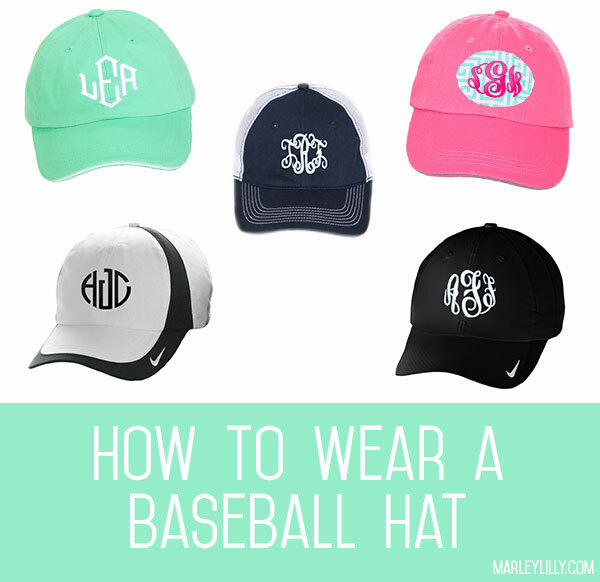 Just brush your hair and throw on this Monogrammed Baseball Hat for a quick preppy look! 4. High Pony – Pull your hair up high on your head through the opening in the back of your Nike Monogrammed Sphere Baseball Hat. This look creates a bouncy effect that is sure to make you look young and preppy! 6. Fishtail Braid – If you still want to look like you put in an effort when fixing your hair for the day, then this is the look for you! We love a big fishtail braid on the side! 7. Hidden Bun – Baby powder and dry shampoo not fixing your greasy hair? 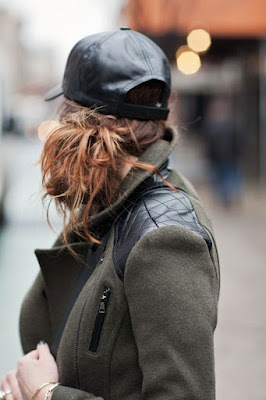 Pull your hair back into a low bun and cover it all with your hat! This Nike Monogrammed Dri Fit Colorblock Baseball Hat is perfect for that sporty look!